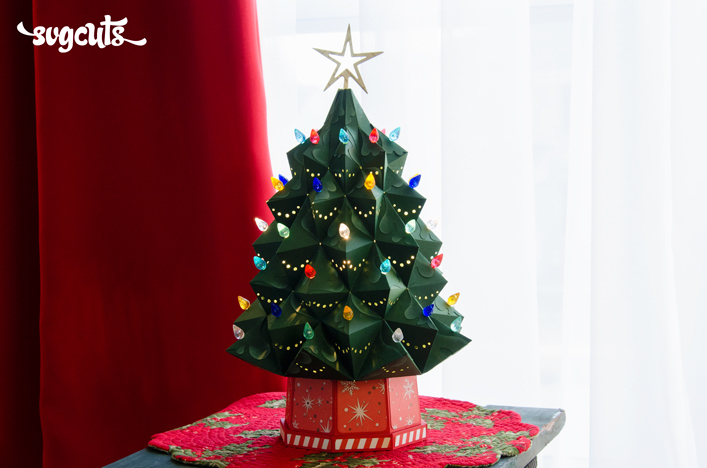 I am looking for a pattern for a 3-D Christmas tree made out of what looks like heavy card stock. It resembles the ceramic trees with a base and lights. I have searched all over the internet and just haven't been able to find anything. Is it possible someone on this site can help me, or steer me in the right direction? I've searched cricut files-someone told me that I could find it there. Maybe I am just looking in the wrong place Thank you for any assistance.I appreciate your help. What I imagining you are meaning is the type the each bough is a separate piece and it fit together hmm... a bit like a inverted paper flower does that make sense ? SVG Cuts has one that resembles the ceramic Christmas trees. 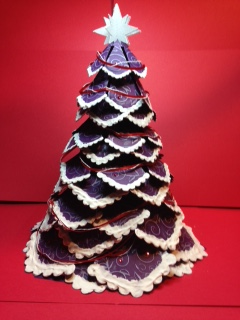 It is called the Heirloom Christmas tree.